DIY Home Staging Tips: What Do Chips and Salsa Have to Do with Home Staging? What Do Chips and Salsa Have to Do with Home Staging? Recently a recipe of mine was featured on Foodie-isms.com, where the tag line is "Obsessively Interested in All Things Culinary." Stephanie, the brains behind the Foodie-ism site, writes inspiring and informative posts about cooking, nutrition and travel. She's always looking for good recipes from people who love to cook, and love to eat. Count me in. 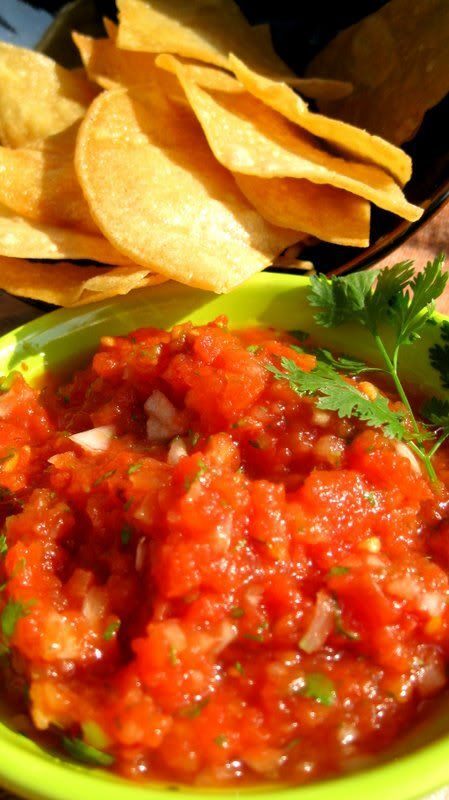 I'm a big fan of salsa, especially ones with more flavors than just tomato and spices. Please visit Foodie-isms and see what the foodies are cooking and eating. You'll find an intriguing collection of temptingly delish recipes contributed by cooks and chefs. If you're a foodie yourself (no credentials required), consider sending Stephanie one of your own. My recipe includes directions for making your own homemade tortilla chips. Why make what you can easily buy, you may ask. Because once you eat your oven-baked, ultra crispy chips, you won't be happy with what comes out of a cellophane bag. You'll be spoiled good. Process all ingredients except salt in food processor. Add salt to taste and process again. Why would anyone bother making homemade chips? Well, just taste these. They are shatteringly crisp, fresh-tasting, and low in both salt and oil. It’s worth the work and the wait. Drizzle oil over baking sheet or jelly roll pan. Stack tortillas neatly, slice stack in half across the top, then slice each half into three wedges, to yield 6 triangle chips from each tortilla. Arrange the wedges in a single layer on the baking sheet, rubbing both sides of each wedge in oil, using the wedges to push the oil around the baking sheet. Bake in a 250 degree oven for 1 hour. They should be very crisp, but not browned. 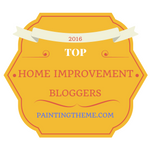 But what do chips and salsa have to do with my on-going blog topic, staging your home for the real estate market? Not much. Honestly...I'm just trying to prove that I'm not a one-trick pony. I could invent a connection, like...once your home sells you should have a little celebration and serve this snack with those margaritas. Or I could point out that Stephanie's motto is, “ That tastes good….but how can I make it taste even better?” That attitude is akin to the attitude an effective DIY home stager takes. "That looks good...but how can I make it look even better." I could also say that making things yourself rather than buying off the shelf is gratifying. 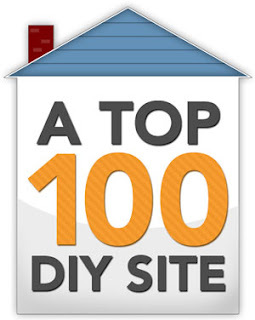 DIY projects can also be more specific to your needs. If you need less salt, you can have it your way, and if you want more lamps or chairs than a hired home staging service recommends, you can do it your way. That's why I encourage people to DIY home stage, even though it doesn't make me friends in the professional home stagers community. If You've Got Location, Flaunt It. Here's How.